It’s tax season! You will want to file all of the deductions allowed. Business use of vehicles is a great way to add a deduction. You can determine the amount of your deductible car expense by using one of two methods: the standard mileage rate method or the actual expense method. The standard mileage rate for the cost of operating your car for business use is 53.5 cents per mile. In order to use this method there are six factors that you must follow: 1) you must own or lease the car 2) you may not operate five or more cars at the same time 3) you cannot claim a depreciation deduction for the car using any methods other than straight line 4) you cannot claim a Section 179 deduction on the car 5) you cannot claim actual expenses after 1997 for a car that is leased and 6) you can’t be a rural mail carrier who has received a qualified reimbursement. To use the standard mileage rate for an owned car you must choose to use it in the first year the car is available for use in your business. For a leased car, the standard rate must be used for the entire lease period. You cannot deduct the actual car operating costs or depreciation if you choose this method. The standard mileage rate factors in costs such as gas, taxes and insurance. You are allowed to deduct interest on a car loan, parking fees and tolls for business trips and personal property tax that you paid when you purchased your vehicle based on its value. 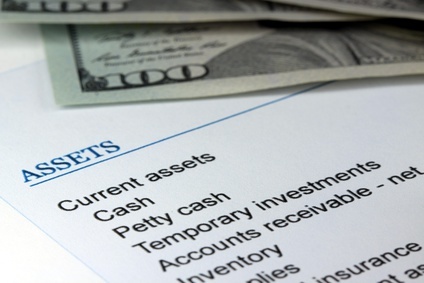 Make sure to keep a log of these expenses as well as business miles and total miles driven throughout the year because these deductions can add up quickly. The other method you may choose to use is the actual expense method. You must determine what it actually costs to operate the car for the portion used for business. Include gas, oil, repairs, tires, insurance, registration fees, licenses and depreciation or lease payments that are attributable to the portion of the total miles driven that are business miles. In this method, like the standard rate method, parking fees and tolls used for business are allowed. When deciding between the two methods, usually the more economical the vehicle is to operate; the more likely it is that the standard mileage rate will give you a larger deduction. You should choose the actual cost method if the operating costs are high. For either method, you can’t deduct a car loan interest on a personal car but you can for a business car. If you’re an employee you may not deduct interest on a car loan even if you only use the car for your job. You are allowed to deduct only the business use percentage of interest and taxes on a car you use for business and personal reasons. Also, for both methods, if the car is for business use, the maximum first year depreciation write off for a new, not used, car is $3,160 plus up to an additional $8,000 in bonus depreciation. For a used car, the maximum is $3,160. There is a lot to consider when deciding between the two methods. If you need help deciding which method will give you a larger deduction, please call Scott Horewitch Pidgeon & Abrams at 847-850-5300. We will gladly advise as to what method would be most beneficial.